Drum Pulper integrates pulping and screening, and is especially suitable for the pulping of unsorted waste paper raw materials. For expanding the recycling and utilization of secondary fibers, reducing environmental pollution, saving energy, realizing the localization of paper making equipment, saving foreign exchange, and having greater economic and social benefits, During its operation, light and heavy impurities can be removed as much as possible and also can reduce the following process burden. 2. Excellent quality of pulp. 3. Significant energy saving effects. 5. Reliable continuous slagging system. This waste paper pulping equipment can continuous pulp and preliminary screen and gently pulp under 14%-18% high consistency to uttermost maintain the physical property of fiber. 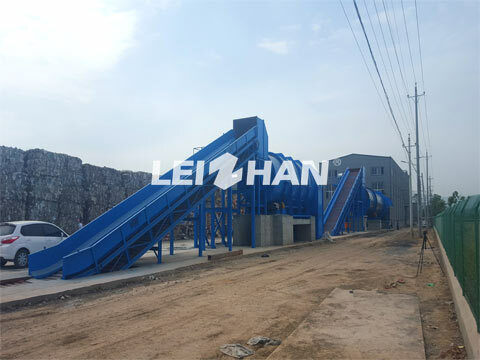 If you want to start paper mill, we can offer you complete set of pulping equipment, welcome to contact with me for more details: leizhanpulper@gmail.com.